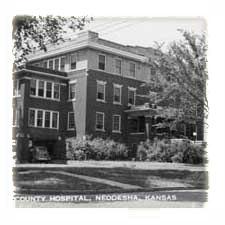 Wilson Medical Center founded in 1913 through community efforts of Dr. John Moorhead and Dr. T. Blakeslee, who conducted a successful legislative campaign in Topeka allowing a county hospital to be established in Kansas. Wilson Medical Center opened its doors in December 1916 with Dr. John Moorhead admitted the first patient, a cement plant employee. 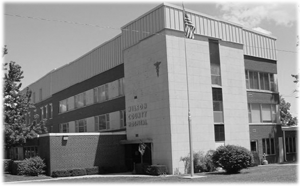 The hospital was known as a nurse's training school and operated as such until March 1937. Over the years Wilson Medical Center has remodeled and made changes to continue providing quality care for its community. On November 7, 2006 Wilson Medical Center broke ground on a new relocation facility at 2600 Ottawa Road. A name change was announced in December 2007, to be effective with the move to the new facility. On February 20, 2008 Wilson Medical Center transferred patients to the new relocation facility, Wilson Medical Center at 2600 Ottawa Road. Wilson Medical Center closed its doors at 205 Mill Street commemorating 91 years of providing Healthcare Services. Wilson Medical Center at 2600 Ottawa Road, Neodesha, Kansas continues providing quality medical care to Neodesha and surrounding communities. The new relocation facility contains an Inpatient unit consisting of 15 private patient rooms, a large Emergency Department with two treatment and trauma rooms, expanded Laboratory and Imaging Service Departments and a Major and Minor Surgical and Recovery Suite. Also located at Wilson Medical Center and unique to Southeast Kansas is the Center for Wound Care and Hyperbaric Medicine. Other services provided are Inpatient Physical Therapy, Respiratory Therapy and a Pain Management clinic. Outpatient Physical Therapy is provided at Get Fit Wellness Center, 602 Main Street. Outpatient clinical services, Cardiac, Podiatry, Surgical, Urology, and Enhanced External Counter Pulsation (EECP) are provided in the outpatient clinic area located in the Medical Office Building adjacent to the hospital.